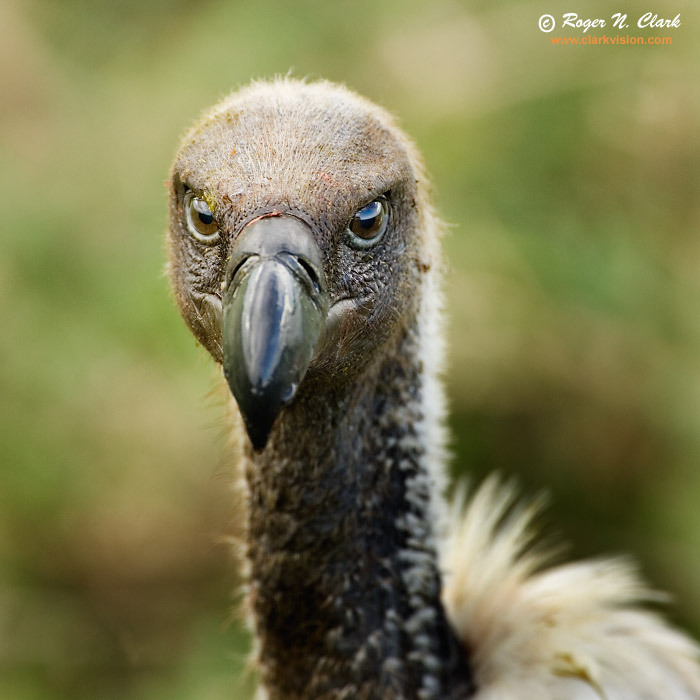 This African White Backed Vulture was waiting for it's turn to get some left-over gazelle recently killed by a cheetah and taken by hyenas, on the Serengeti in Tanzania, Africa. Technical: Canon 500 mm f/4 L IS lens plus a 1.4x teleconverter giving 700 mm at f/5.6. Exposure: 1/125 second at ISO 200. Full height image, horizontal crop.